Once you’ve registered/booked your race, please enter the track area and wait for our track marshals to call you to the pit area. Place any ITEMS (phone, keys, etc.) that you may be carrying in your pockets into bins at the kiosk for safe keeping. 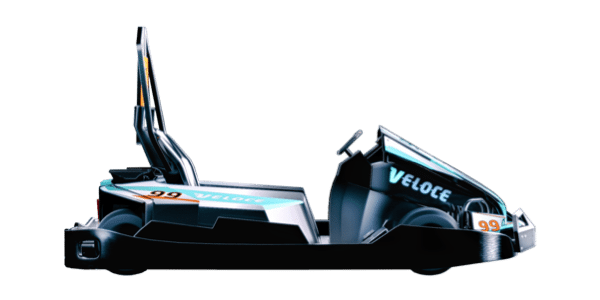 VELOCE is not responsible for any items with/on you that are lost or damaged while racing. After entering the pit area grab a head sock and properly sized helmet. Place the head sock on ensuring that it doesn’t IMPAIR your vision or breathing. Finally place the helmet onto your head and fasten securely. If you get stuck on the track and need to back up, simply press and hold the reverse lever and the gas at the same time to reverse. 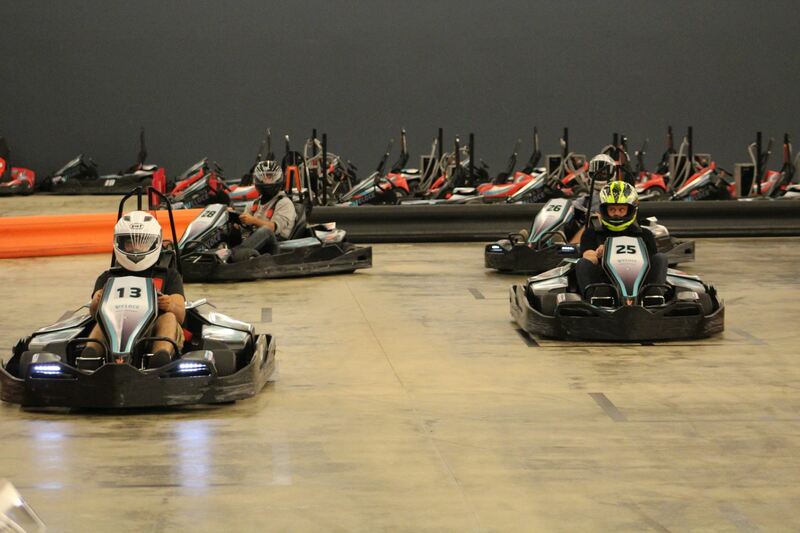 Remember to always look behind you while in reverse to avoid collisions with other racers. Once you have cleared, simply release the reverse lever and continue driving normally. Veloce’s go karts are the most sophisticated, safe and technologically advanced karts available. 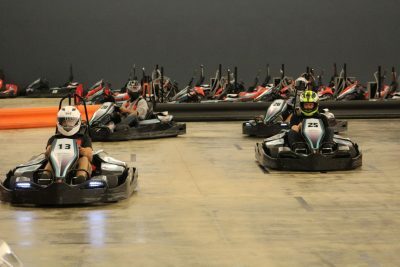 Our go karts are part of the Storm Series ProKart Evo model manufactured by OTL Electrokart in Vacil, Italy (a small town located near the village of Venice, Italy). 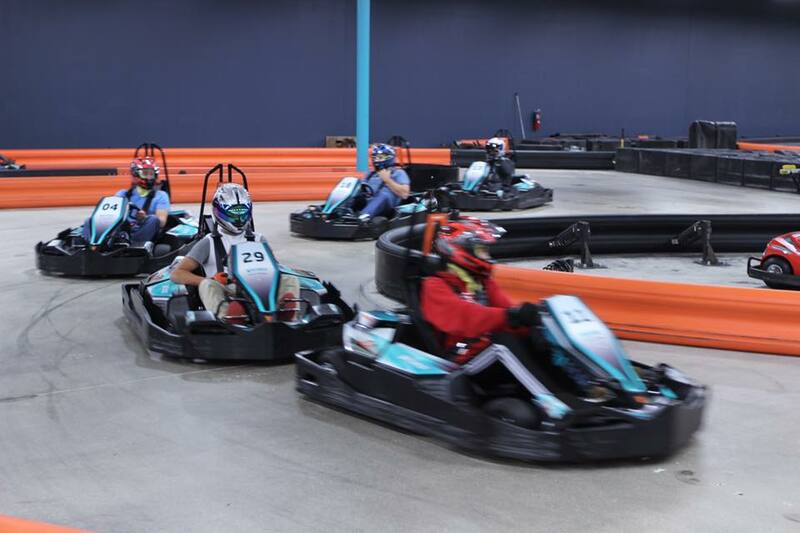 Veloce’s go karts are capable of reaching speeds up to 50 MPH and they’re equipped with various accessories making the driving experience like no other. 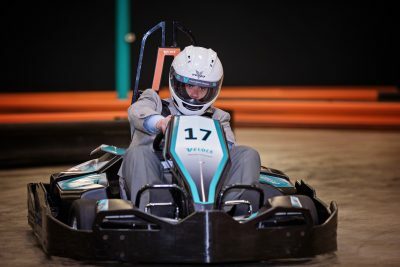 The Storm series ProKart Evo comes with an AC electric motor, differential, reverse gear, two self-ventilated disk brakes, remote radio controller with 4 speeds, complete protection of the mechanical parts with a monocoque* and a shaped-footboard. 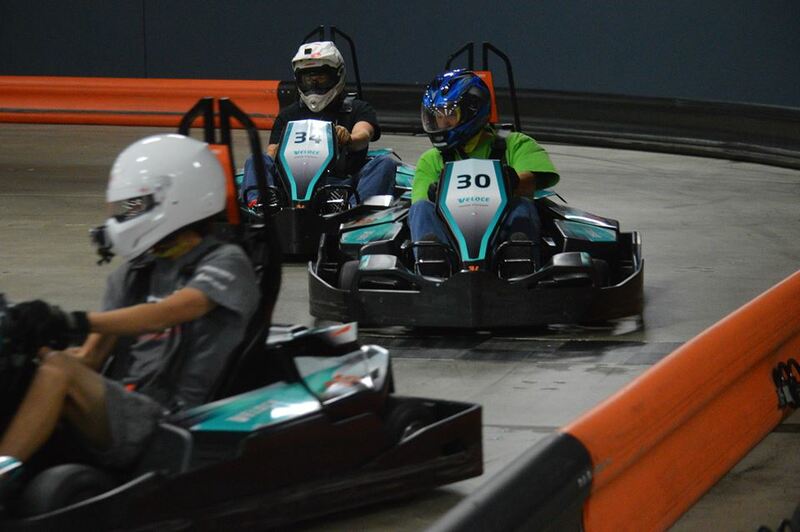 Our go karts have serious torque and are a thrill for racers of all ages. 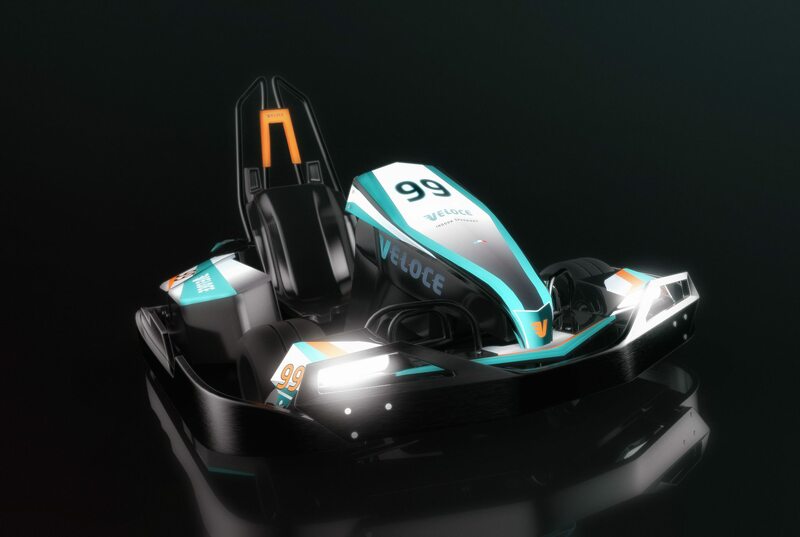 Learn More about Veloce. Skip the Line! Complete your Racer Profile now. 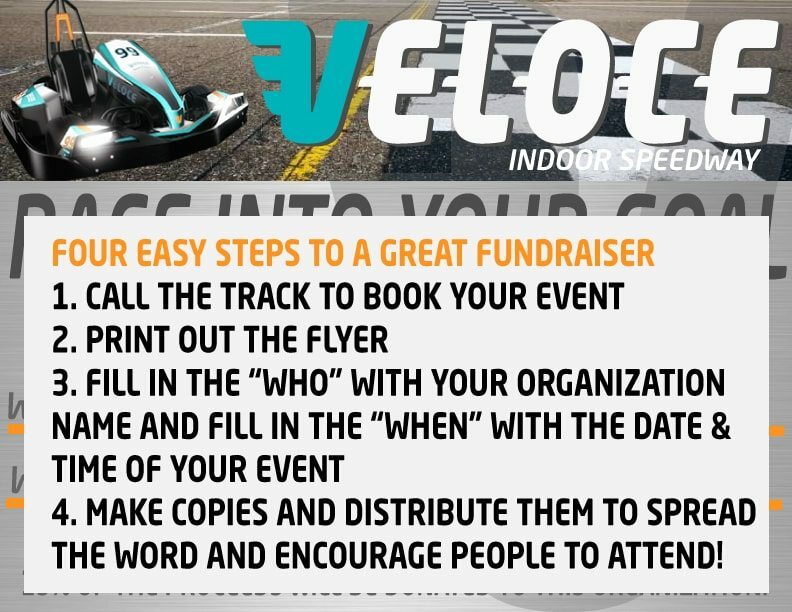 The registration process is necessary before you’re allowed to race at Veloce. Please note that any person under the age of 18 must complete the Junior Waiver, signed by a parent or legal guardian. Weekends are busy at Veloce Speedway. 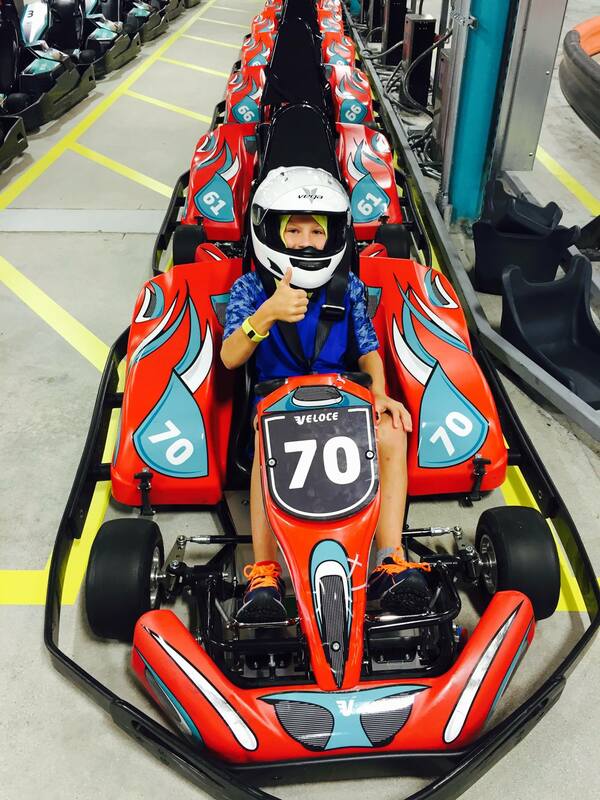 Are you a first-time racer? 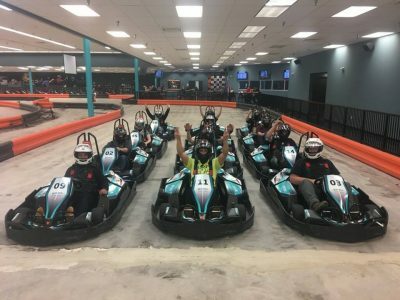 Learn about Veloce’s rules & regulations. We have a 48-hour cancellation policy. If you need to cancel your party or event for any reason, please contact us at least 48 hours prior to your reservation to reschedule your event or your deposit will be forfeited. 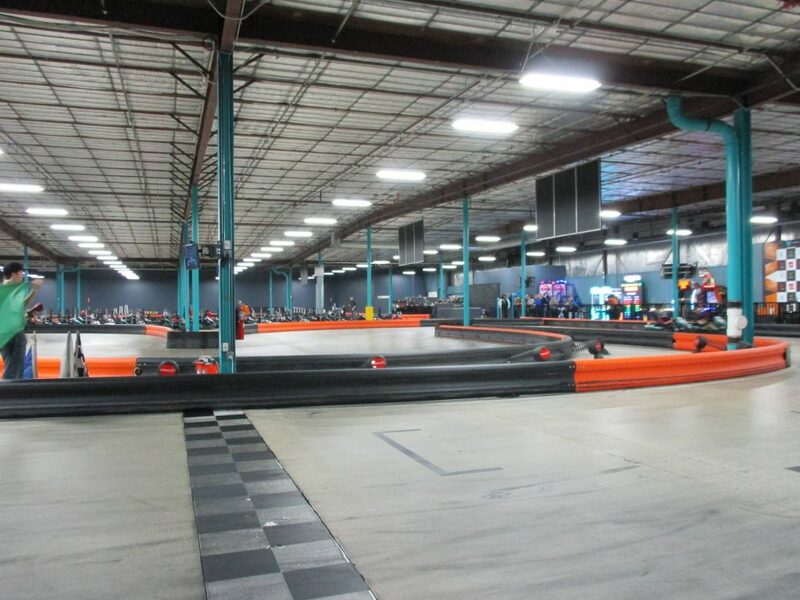 Veloce Indoor Speedway is Now Hiring. Apply Now.